My preparation for the race was not what I wanted. To get a sub 14 hour time and a silver buckle, I knew I had to be able to run with the ‘fast middies’ at my running club. I only have a short window of opportunity to do this, around September when racing season slows down a bit. But I got lazy and didn’t step up and keep up the pressure. I tried to join them several times over the next few months but always failed because I was trying to build endurance and speed at the same time- it just doesn’t work for me! At Six Foot Track I managed a 5:41 while a bit sick, but Canberra Marathon I had an attack of not caring and instead of a PB, came away with a time 2 minutes off my best. In addition to this, all of our training runs had been about the same speed as last year, in a nutshell I was staring down the barrel of running 100km and not being any faster than the year before! I knew I could make small improvements to checkpoint times and 2 weeks before the race had my first ever sub 4 minute km, so my goal became sub 16 hours (from 16:34 in 2012). I was pretty sure I could make that as long as I didn’t suffer from a big attack of ‘don’t cares’ again! The big difference in training is that I recognised the need to do more hills/stairs. Well, I couldn’t really do ‘more’ hills so I settled for a tough stair session down the back of North Sydney. This one was inspired by Jodie Cook and I call it ‘Mistress Jodie’s Ascent to Hell’. it did make me a stronger climber. In the last 2 weeks I became familiar with that vile word ‘diet’ again. Nothing fancy, just trying to avoid sugar, space my meals out correctly and not eat too much dinner. I don’t know how people are able to deny themselves things when food is so readily available, it’s just not for me. And it didn’t work very well, at least on the surface. The last 2 years, I’ve been able to get down to under 73kg before the race, this time it didn’t happen. However I did find that I got slightly more energy, felt a bit lighter and got a bit faster, so let’s say I improved my power to weight ratio. So losing weight wasn’t the answer- losing fat was! Of course the weather turned cold a bit later than usual this year, so I woke up the day before the race with a stuffy nose and I thought it was going to be a repeat of Six Foot, but I was determined not to let it get to me. It turned out to be nothing. The milk we had brought along for my breakfast had turned bad, and with no spare muesli, I had to pour the milk out and eat the muesli still coated in off milk. Oh well, worse things happen at sea I guess. Race morning came and it was a cold but crisp and clear day. We were quite worried about the bitterly cold wind the day before but Saturday turned out to be perfect for running. I even ditched my long sleeved running top at the start when I realised I could cope with the cool air. I drank a litre of sports drink before the start and had 1.5l of water in my hydration pack. I also had 2x 750ml bottles in the front bottle holders, empty. My strategy was this- I would use the water in my bladder until CP1, have a few cups of Endura at the CP, then fill up the empty front bottles with Endura, and use those until CP2. This worked really well, but I found that I wasn’t drinking much fluid during this race, but still peeing a lot. My hydration was fine, so I didn’t actually run out of water in the bladder until after CP3. In later sections I swapped one of the bottles for Pepsi which I had in my drop bags. Closest I came to running out was CP4-5 which is the longest section at 25km, I had finished my Pepsi and had about half a bottle of Endura left. It worked pretty much perfectly. In each checkpoint bag I had a selection of stuff including chips, lollies, soft drink, chocolate bars, fruit in syrup, etc. How much of it did I use? None. Well I had one chocolate bar out of the 24 I bought the previous week. It wasn’t really a wasted effort, but this year was my first without crew- I’ll know in future that I don’t need to make such elaborate preparations. I had about the equivalent of 10-13 gels, 2 mandarins, 1x boiled egg and 1x cup noodles as well as 4-5 pieces of watermelon (1 at each CP). The bottles in the front of the pack worked brilliantly, I won’t even need to take as much water next time- unless it is hotter. My decision to go ultra light weight was a big risk that paid off. Not having to carry lots of stuff around the course helped, I even ditched my hat at CP4 as the sun was going down (not the mandatory beanie). I’m a little bit surprised about my shoes. This year I ran in Hoka Bondi-B’s. I have very flat feet, so I modified the arch support by sticking some large Compeeds on the inside of the innersole arch. That worked well, but I still got more bruising than expected, and my little toes on each foot were quite bashed around- this is despite the fact I think I bought a size too big! I’m now thinking that it might not be the shoes, I was also wearing Injinji socks. I normally try to wear a new or newish pair for a big race, but forgot to buy them this year. Consequently I wore a pair that were a bit stiff from use and they may have contributed. The grip on these shoes wasn’t anywhere near what I get from the Salomon Speedcross, but to be fair the Bondi’s are not a specific trail shoe, I’ll need to try some Stinson Evo’s. The payoff from these ‘compromises’ was huge- being able to glide over rocks and keep my feet in relatively good shape was totally worth it. Minimalist runners- you’re missing out! Despite the fact that I posted 2 different pace calculators on the web, I forgot to look at them myself so I had no idea how to pace myself during the race! Now you probably already know my result so let me just say this- I really don’t think I can do much better than this. I had a great race, executed everything about as well as possible and finished strong. The only stats I could remember from 2012 were that I reached CP1 in apx 2:45 and CP3 in apx 8:10. I also knew that I spent 18 minutes in CP3, so my strategy went a bit like this. Take 10 minutes off each of your first 3 checkpoint times, then cruise to the finish without losing any time. That should give me just about a 16 hour finish. So what actually happened? Well, I was only 6 minutes faster into CP1, but reasonably happy if a bit tired. I gained another 7 minutes to CP2, but was only 1 minute faster to CP3, so I arrived at CP3 apx 15 minutes faster than 2012- I was way behind my goal! But wait- I gained 9 minutes by not spending much time at CP3 (I thought I flew through CP3 but it was still nearly 10 minutes!). So I had 24 of the 35 minutes I needed, and expected to pick up some more before CP4 because I had a bad time on this section in 2012. But no, only 3 minutes. I also knew that I lost my concentration a bit in 2012 after CP4, so could I make any gains there? I was finding I could run OK down Federal Pass, but wasn’t breaking any speed records. At Jamison Creek I ran a few more calculations and figured that I had my 35 minutes, but none to spare! It was time to release the handbrake. I knew that although my legs were tired, I was in good condition, so I powered up Kedumba. Yes, those words do seem a little strange to me- ‘powered up Kedumba’ but it’s the only way I can express it. I was taking little steps, keeping my cadence up and swinging my arms- I passed heaps of people. I didn’t know it, but I gained HALF AN HOUR just on this section vs 2012. I knew I had to arrive at CP5 in 14 hours race time to be able to go sub 16 hours overall. Average time for this section is 2:15, last year I was flying and made 1:53. I got to CP5 in 13:39 race time and knew I pretty much had my goal in the bag. Just after leaving CP5 I said hello to another runner and found it was Michael Meryment. He is an outstanding runner, but having a bad day with gut issues. This was a very common problem this year, but luckily I never seem to get these problems. Anyway we got moving and he thankfully settled into a pace that I could keep up with. There wasn’t much talking, but we passed a lot of people in the last section. I was so grateful that he kept going past people so I could tag along! Then we saw the Fairmont and he seemed to slow down. We got on to the lush green grass and I wanted to run to the finish, but I said ‘Michael you’ve dragged me this far there’s no way I’m going to finish in front of you, just set the pace you like and I’ll be right behind’. It was agonising because I was literally watching the seconds count down on my Garmin hoping we would cross for a sub 15:30 race time. I needn’t have worried, we both did 15:28 officially. Thanks Michael! A little note about CP4-5. This is where I made up a lot of time. From 2011 to 2012 I was about 7 minutes faster, but 31 minutes faster in 2013. In theory I can’t do that. I can’t go up hills that fast, and yet I was blazing past people like they were standing still. I normally have 2 puffs of Ventolin before a race, but didn’t get it until Tarro’s Ladders. For some reason my lungs were feeling good- no EIA (exercise induced asthma is common in cold weather), I was breathing well and running within my limits. I didn’t have any more Ventolin during the race (at Six Foot Track I needed more on Black Range Rd). For some reason everything clicked and I made 45 places on that one section! I was so mentally focussed at the checkpoint that I made up another 7 places just by leaving quickly. Have a look at the average pace- 8:37- That’s only a few seconds per km slower than you need to finish the race in sub 14- and it includes Kedumba! I really wish I knew how to recreate that feeling. Maybe now I’ve done it once I’ll be able to do it again, or maybe I’ll be searching for it for the rest of my life. But anyway, I wish I could tell you HOW the planets aligned that night, I just don’t know. Possibly the Sunday afternoon intervals is helping- I wasn’t breathing as much like a freight train as I normally do. Also this year there was never any real thoughts about whether or not I would finish. This must be due to experience, I never felt like I was having a crappy time or entertained thoughts about quitting. And yes I do have those thoughts! Have a look at those results above. You’ll see that although I’ve improved a lot each year, my finishing place hasn’t moved as much. It’s becoming a very competitive race. But luckily the number of starters and finishers is also going up, so my place in the field as a % is improving! 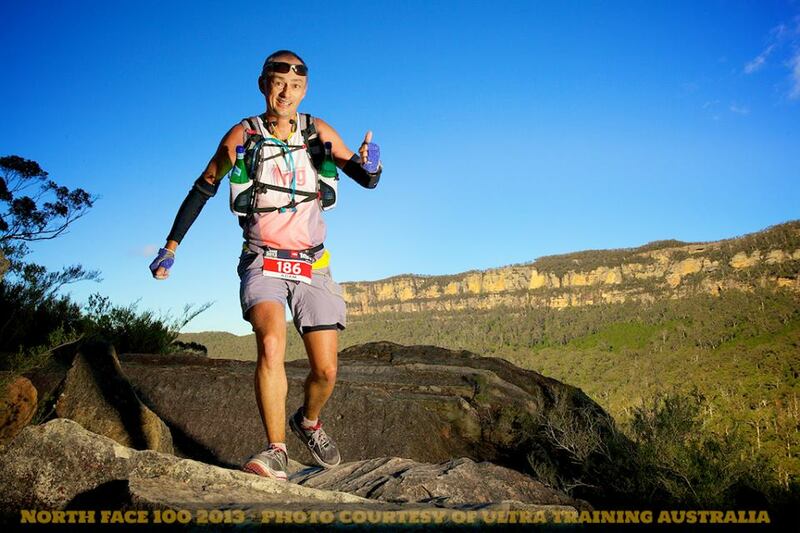 After my first TNF100 I wrote a blog post about going sub 14 hours to get a silver buckle. That dream is just as far away now as it was then, but look at the results again. In 2011, only 99 people ran sub 14 hours. In 2012 it was 122, and this year they ran out of silver buckles when 171 people shot through the gates under the cut. Wow! My time from this year would have got me position 167 in 2011 with Neil Hawthorne- an ultra legend who has finished every TNF100. That’s 90 places difference. The average finishing time has come down by 30 minutes in one year after rising a bit in 2012. Possibly the cold in 2011 made people run faster, or may have made slow people pull out? So I gained an hour, and ran about 40s/km faster. I’ve gone from an average of 11min/km in 2011 to 9:56/km in 2012 to 9:16 in 2013. To make sub 14hours I need about 8:18, or 1 whole minute per km. I don’t see how that is possible for me, but I’ll have a think about whether I really want to chase it. If the answer is yes, I’ll need a coach, and more importantly, a lot of discipline! Let’s put it this way- I could easily make up 1 min/km for a few kilometres, maybe 20km, possibly 50km- but 100km? Hmm, not so sure about that! I’ve now been in wave 4, 3 and 2 all in subsequent years. This year my logic for going in wave 2 was based on some knowledge and some hope. I never felt entirely comfortable knowing I was several waves above better runners than me. I’ve never been held up badly in the race, and I didn’t let it get to me when others flew past during the race, but I felt like a it of a fraud, as wave 2 was supposed to be limited to finishers under 15:30. Several times during the race I mentally started drafting an email to Tom the Race Director with an apology about running too slow. Lucky I didn’t have to send it in the end! Thanks to all who came to the training runs, read the blog and helped out with comments. You’re awesome! If you feel like stopping, run through your finger checklist- water, sugar, salt, caffeine. Usually having one or more of these will help you. Walk the hills- you need to run/ walk at well below your threshold. If you’re gunning for a sub 14 hour time I can’t help you because I’ve never done it! Concentrate on your speed while walking. Jane Trumper walked up Kedumba with me in 2011 Mt Solitary race. Or I should say we started at Jamison Creek together. She walked with a purpose, I walked while feeling sorry for myself. She beat me to the top by 22 minutes- this can make a HUGE difference to your race. Conversely, if someone needs help on the course, give it! In 2011 a guy asked me for electrical tape coming up Kedumba. What he actually wanted was blister patches, and I had heaps. It was like the best Christmas ever…….. Oh, and if you need something, ask! I ran out of water up Kedumba last year and another runner donated a whole flask of sports drink. I’ll be forever grateful, and I still have no idea who that person was. Here’s a teaspoon of cement princess, now HTFU. Repeat you mantra. You’ll see this one all over the internet, but mine is ‘relentless forward progress’. Just 3 words to keep you going. Repeat them, explore them, make them resonate, feel the power, keep going! The text is large so I can read in low light. I also have treats in each bag, so I’ll have a quick look inside to see if anything takes my fancy. Some of these items are just guides rather than instructions- for instance there is no way I could have eaten a banana going out of CP3, but at least I got to consider it because it was on the list. Also dumping your rubbish in your drop bag will save you having to find a bin. Not a big deal, but could save you some time when you’ve completely lost your mind later in the race. I thought I’d be really smart and use cycling style arm warmers for the early part of the race when it is often very cold. It’s a great theory, but didn’t work in practice because the arm warmers have some rubber at the top to keep them from slipping off, and this rubbed my arms raw. Might be worth considering if you are a bit chunkier than me (I have quite skinny arms) but I probably won’t use them again. Also the 2 bits of clothing you want to have in large sizes are your reflective vest, and your rain jacket. You don’t really want to have to take your pack off to put either of these on, and indeed the reflective vest MUST be visible over your pack, so make sure you haven’t got a midget version. I’m most comfortable running in a singlet, and can do this at temps down to about 10 degrees, but in 2011 the temp never got above 6 degrees even though the sun was shining. Have a plan, decide what you are going to do if it is cold and wet. My big problem is I hate having sweaty underarms, which means T- shirts are not ideal. Maybe I can wear a second singlet under my NRG top- I could use the 2010 Six Foot one, it’s about the size of a postage stamp! Test your clothing, you only need a tiny problem to make your clothes dig a hole into your flesh over 100km. Trust me, that’s not fun. Eat early and often. Don’t let your energy levels drop. On a normal run I’ll probably have my first gel at 8-12km. Race day I will be eating at 5km and about every half hour after that. But don’t eat too much- in 2012 I ate quite a bit of macaroni and cheese at CP3, then couldn’t run some of the easiest bits up towards Nellie’s Glen- that mistake cost me up to 30 minutes. Later in the race you’ll probably spend a bit of time on your own. There’s always plenty of people around, but perhaps all the people going up Kedumba are too slow for you. I will have my headphones around my neck and connected at the start of the race so I don’t have to fiddle around in the dark if I want some tunes. I’ll be listening to a few trance podcasts by John ‘OO’ Fleming. These can be downloaded for free from iTunes or choose something else that you might like more. One of the reasons to choose this style of music is because it has the right cadence to keep your legs moving a bit faster than normal. Warning- this year the RD has instituted new rules around the use of iPods, make sure you read them and comply. See point 4 in the event rules. If you’re feeling like crap (and you will!) you need to have the presence of mind to recognise it and take action. This is the difference between a finish and a DNF. In my limited experience you need 4 things. Look at your fingers and repeat after me ‘sugar, water, salt, caffeine’. Attach those words to your fingers in your mind. Do not forget them. When you feel bad, look at your fingers and repeat ‘sugar, water, salt, caffeine’. You need at least one of these things. Have it and you WILL feel better. Usually for me it is sugar…….Last weekend at the Coastal run I had a coke at the halfway mark and immediately felt better and went on to finish a run that I didn’t think I could. Think about it- Coca Cola has 3 out of the 4 essential ingredients! Spend as much time as you need in checkpoints, but no more. In 2011 I got into CP4 and told my wife I was quitting. She told me not to quit straight away. After spending nearly an hour in that CP, I felt better, got up and went out and finished. The key thing here is that I would not have finished if I’d gone straight over to the desk and quit. I wasn’t really injured, and taking that time allowed me to get back some energy. But the biggest tip I can give is GET OUT OF CP4. That’s right- if you can get out of the aquatic centre you’ve just committed to the longest leg of the race, once you get down the Giant Staircase there is no turning back until you get to CP5, Queen Victoria Hospital. And of course once you get to CP5 you’ve only got 11km to go… go on, do it! When you get back to the Fairmont, get some warm clothes on and EAT SOMETHING. I forgot in 2012 and my wife woke up to me looking for food in my drop bags in the dark. Congratulations, you’ve just completed the North Face 100, you awesome person you! If anyone knows of an easy way to carry and eat chia seeds, please let me know, I’ll add them back in for Start to CP1 and CP3. Maybe I’ll need more flasks to carry them. Also, this is a work in progress and could change, so check back if interested…..
Gels are available at some checkpoints, but you can’t depend on them, and if you do, you might have to take grape flavour, which is quite vile tasting. Other items I will have to carry. At CP1- Drink 500ml Endura at checkpoint, take another 500ml with me when leaving. Check bladder, don’t fill up too much- only 11km to CP4! Important- must eat at bottom and part way up Nellie’s Glen! Important- eat 1-3 gels going up Kedumba! check to make sure you aren’t carrying too much water. Drink 500ml Endura, take a 500ml bottle with me. Eat a piece of fruit if you can. Piss off and finish the race. Need to make sure you eat something or you’ll be ridiculously hungry when you get back to your hotel room! Where it says ‘Drink 500ml Endura’ that is about 3x 150ml cups. I can usually drink that much at once without bad effects, you may find otherwise. The instructions to eat more up Nellie’s and Kedumba are because these have been where I’ve had low points, and more food usually helps. The Growling Dog bars are hard to eat, and need to be cut into squares and put into a sandwich bag in prep. I probably can’t eat that many bananas, but not a bad idea to have them available.